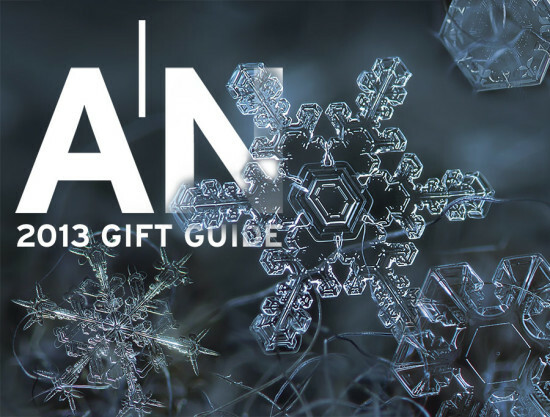 As architects, we know you're overworked and probably underpaid, and we're guessing you haven't had time to draft your holiday wish list quite yet. But don't despair. AN has compiled a list of high-design, unique gift ideas for you and your colleagues, friends, and family members with good taste, most of which are also attainable for budget-conscious buyers. Pianta Karryon Taski Tote drawings and plans in a bespoke leather carrying case. The product's name comes from the Italian word for floor plan, and an phonetic take on the words "carry on." With an adjustable Velcro closure, it can carry rolls of plans from 3 1/2- to 11-inches in diameter. Luxe Carafe Niche Modern Glass blowers form the smooth curves of this sleek water carafe and drinking glass. At 9 1/2 inches in height, in comes a variety of colors, in addition to clear. A Field Guide to American Houses: The Definitive Guide to Identifying and Understanding America's Domestic Architecture Virginia and Lee Mcalester For the know-it-all on your list, provide some ammunition for their holiday cocktail party conversation arsenal. The second edition is a fully expanded, comprehensive expansion to the original 1984 release with more than 1,600 detailed photographs and line illustrations. S20-L2 Baton Olight For job site traipsing or natural disaster preparedness, this is the perfect gift for the adventurer on your list. Four brightness levels and a strobe setting assure safety assistance across multiple levels and a strong magnet at the back assumes a stationary, spotlight function. An affixed clip also coordinates nicely with pocket protectors. Mirage Shelving Ladies & Gentleman Studio Who isn't up for a good game of smoke and mirrors? Show your sense of humor by giving the look of grandeur at just 30 inches in height. Mirage Hex Corner is wall mounted with a walnut-trimmed cleat, to achieve a seamless, kaleidoscopic effect. Soccket Uncharted Play Give the gift of social change when you buy Soccket, a soccer ball that stores the kinetic of energy of play to power small electronic devices. Each purchase also gives a child the opportunity to join a SOCCKET Team for access to renewable SOCCKET power and an educational curriculum. Beyond the Bridge Think Fabricate Created from an 1879-lithographic print of "balloon view" bridges from Currier and Ives, this series suits the traditionalist, engineer, or Brooklynite on your list. The series include one plate each of the Brooklyn Bridge, Brooklyn Heights, Governor’s Island, and the Brooklyn Navy Yard with Wallabout Bay in the foreground. 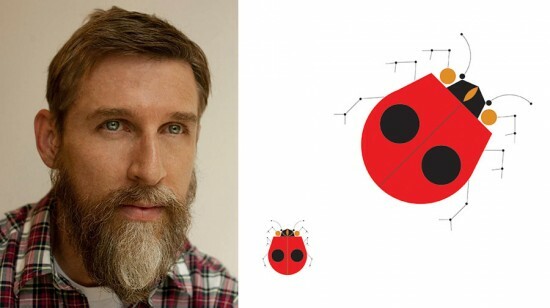 Charley Harper: An Illustrated Life Todd Oldham If you're looking for vibrant graphics, look no further than Todd Oldham's compilation of Charley Harper's expansive illustrating career. With an intimate interview forward, you'll see these iconic images from your childhood textbooks in a whole new light: Charley Harper was an early supporter of women in the workplace and an avid conservationist. Available in both hard cover and paper back editions. Line/09 Myers Collective For the design-minded women on your list, how about a handcrafted necklace? LA-based architect Jenny Myers designed this 20-inch piece with silk thread that supports brass tubes in unique geometric formations, fastened with a gold clasp and hardware. Sake Set Deborah Ehrlich Collection This sake set, hand-blown from Swedish crystal, would meet any Japanophile's discerning standards. The slim decanter measures 8 1/2 inches in height and 2 inches in diameter, and each cup is a dainty 1 1/3- by 2-inches. AeroPress Aerobie Go ahead and feed the addiction: Coffeeholic and AN managing editor Aaron Seward says its the best he's ever had. Each order comes with the full kit of parts and a supply of specially shaped filters that will keep your caffeine levels sky high for a full year. For an accompanying premium roast, we recommend Gimme!. Vieni via con me Ring Alessi An extension of Trimarchi's La Stanza dello Scirocco collection includes a geometric cocktail ring that measures just under 2 inches. It's stainless steel material is suitable for those on your list with sensitive skin. Paradise Planned: The Garden Suburb and the Modern City by Robert A.M. Stern, David Fishman, and Jacob Tilove Monacelli Press Sure to please any urbanist, this 1,072-page tome contains the definitive history of the garden suburb. The book chronicles its start in England during the late 18th century and the effects of industrialization and transportation across many cities in the U.S. Bol Sein Sevres For the person who has a tinge of an Oedipal complex or just a liberal sense of humor, the Bol Sein speaks to carnal urges in a porcelain medium. Allegedly, the mold was formed from the bosom of Marie Antoinette during the 18th century for her King and husband.